What can you see with the power of a 60x optical zoom NIKKOR Super ED glass lens? The nuance of your child's expression the moment she scores a goal; the small beads of sweat on a performer's brow during an evening concert; the flittering movements of a bird so far in the distance, it doesn't even notice you. Combine that game-changing zoom power with a CMOS image sensor capable of preserving the fine details of those views, blazing fast autofocus and shooting speeds, a swiveling LCD, manual controls and a battery that lasts up to approx. 330 shots per charge, and you've got one of the most powerful, exciting COOLPIX cameras yet, the COOLPIX P600. What's more? Moments after you capture an extreme close-up, it can appear on your compatible smartphone or tablet for easy sharing. For those seeking zoom power and advanced performance, the COOLPIX P600 delivers. Every COOLPIX is designed around a genuine NIKKOR glass lens, the legendary optics that have helped make Nikon famous. The COOLPIX P600’s 60x optical zoom lens goes from wide-angle—great for portraits and landscapes—all the way up to telephoto—great for closeups of sports, concerts, nature and more. When you need even more reach, zoom up to 60x with optical zoom and 120x with Dynamic Fine Zoom, an enhanced digital zoom function that effectively doubles your reach. Your smartphone or tablet will be your favourite accessory! Take beautiful photos with the COOLPIX P600 and watch them instantly appear on your compatible smartphone or tablet. Then share them without missing a beat—text them, email them, upload to your favourite social networking site—it’s your choice! You can even use your smartphone or tablet as a remote control for the COOLPIX P600, perfect for self portraits and group shots that actually include you. 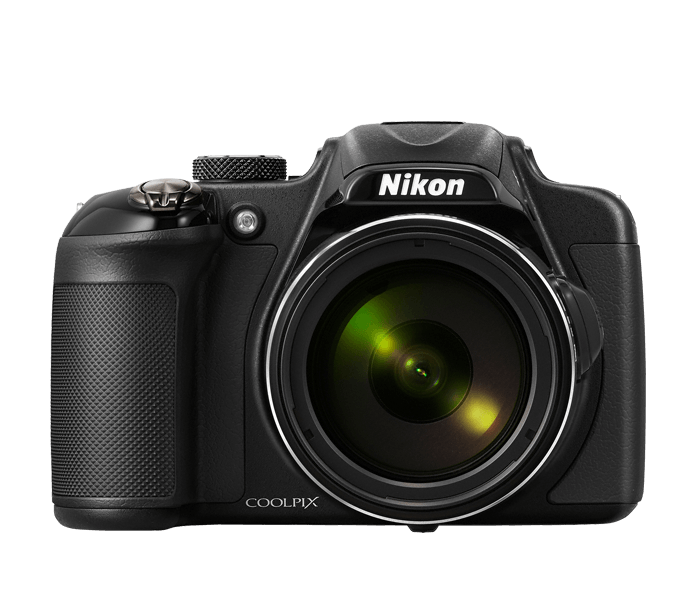 Shooting conditions vary, so the COOLPIX P600 has two viewing systems: a large 3-inch 921,000-dot Vari-angle display that swings and swivels to provide easy viewing from almost any position, plus an electronic Eye-Level viewfinder for D-SLR-style shooting. Find exciting new perspectives by swiveling out the Vari-angle display and moving the camera around—raise it overhead or move it to ground-level for suprirsing new views. When conditions require, use the bright, Electronic Eye-Level viewfinder and frame exactly the shot you want. The COOLPIX P600 takes exceptional images on its own, but when you want to take control of exposure, you can. Select from Programmed, Shutter Priority, Aperture Priority or Manual mode and create without limitations. The COOLPIX P600 is designed to maximize the time you spend taking great photos and videos. Thanks to an improved energy efficient design, you can shoot up to approx. 330 photos at full resolution on a single battery charge! Spend more time capturing special moments and less time waiting for a charge. With the new Multiple Exposure Mode, the COOLPIX P600 will capture two to three different exposures and combine them into one saved image.